Brandon Harvey is a Teacher, Speaker and Theological Consultant who resides in Omaha, Nebraska. While receiving a BA in Theology and Philosophy minor, an MA in Theology (Franciscan University), and continued graduate studies in Liturgy, he has spent the last 12 years teaching adults, deacon candidates, catechists, Catholic school teachers, college students, teenagers, and children. Since 2007 Mr. Harvey has given nearly 100 theological presentations at conferences, retreats, parishes, and various groups. He has also spent the last several years providing theological consultation for Catholic films and books for children, and has developed various catechetical resources and materials being used by Catholic children around the country. He is known for his expertise in liturgical catechesis and pedagogical methodology. In addition to teaching, Mr. Harvey has also spent time working in fields of evangelization. He served as the first Director of Youth Ministry at the Cathedral of the Epiphany, served as the first Director of Adult Evangelization at Christ the King Church in Omaha, and served as the first full-time Headmaster of Chesterton Academy of Omaha (renamed St. Barnabas Academy). He married his high-school sweetheart from Gretna Public High School. They have four children. Recitation, referred to in the catechetical tradition as “catechism,” is a powerful tool, albeit not the only tool, for passing on the faith to young children. Discover my first article arguing for the necessity of its restoration. 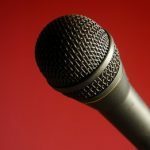 In my last article on recitation, I examined the first installment of the series Making Recitation a Tool for Success, Part I. That article reviewed the practical steps to initiating recitation within the catechetical classroom. This article will round out the practical tips to making recitation a success in its execution. be the class standing up and reciting a rhythmic harmony. Yet, in each class there should be a few questions that focus on a particular grouping of students in the classroom. For example, the Catechist might have a question that is just for each row, another question that is for boys, and another for girls. Catechists may notice issues with a student during the group recitation, but the above examples of smaller groups will make it more challenging for a struggling student to hide it from the Catechist. Take note of any students not participating, not saying it proficiently, or overly distracted. Their struggles may be due to stressors at home or in school, but they might also inform the Catechist that the child has learning challenges or is falling behind in class. You will not know all that is going on with a student from recitation, but it will provide you an idea of who you need to keep an eye on or follow-up with. Some Catechists struggle with needing to cover too much in the limited amount of time for sacramental preparation. Some communities have students entering into sacramental prep needing the basics as well. Where do you start? What do you do if there is not enough time? Rely on recitation to cover some of the foundational elements in order to ensure the core elements for sacramental preparation are covered. Whether its recitation or any other catechetical component, a once a week catechetical gathering is not sufficient to offer the ideal formation experience. Recitation requires habitual use to actualize its potential. It is a struggle to only have recitation drills once a week. The challenge is to attempt ways to get some or all of the students to review their recitation at home. Let parents know about the importance of recitation. Provide them a copy of your recitation questions and invite them to review them 1-3 times a week outside of class. You can also provide children a notebook and ask them to copy the new recitation phrase for the week a handful of times in their notebook outside of class. Students can also review their recitation with not just parents but also godparents or siblings; relatives can sign a paper to witness to the practice at home. Communicate well and communicate often with parents. Let them know what you expect and how it will impact the end of the year event (see below). Students will have a chance to discover a sense of accomplishment towards their hard work. Parents and members of the community get to see an example of something that the kids worked on during the year. The buildup towards this annual event may inspire some of the parents and students to review it outside of class and help cultivate the habit. While I am passionate about the importance of recitation in catechesis, I am under no impression that recitation alone is what these kids need. It is simply a component that assists their overall catechetical formation and child developmental skills. One of the most common objections to Christianity is not rooted in philosophy or doctrine but rather the existence of evil and suffering in a world that Christians profess to be created by a Loving God. The Church wisely states, “no quick answer will suffice. 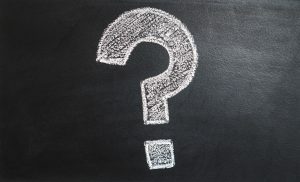 Only Christian faith as a whole constitutes the answer to this question….There is not a single aspect of the Christian message that is not in part an answer to the question of evil” (CCC 309). Within the classroom or an exchange of scholars this conversation will focus on Salvation History and the Church’s corresponding doctrines. For the average person struggling with and through a traumatic event, something else is needed to provide the answer that comes from the “Christian faith as a whole.” That approach of providing witnesses to God’s work and the power of Hope, has been crafted together in the book 10 Promises of Jesus by Marge Steinhage Fenelon. Each chapter of this book begins with a Promise of Jesus. The explanation of the promise is often short and simple followed by a real life story of someone experiencing both suffering and Hope through the corresponding promise. Each chapter features a new story with different forms of suffering and different acts of Hope. This book is a quick and easy read. I only wish one additional point was made in the book; it is nothing major, but rather an additional point to be made in the footnotes. On page 51 a long footnote is provided to explain “last rites” but fails to mention 1 of 3 sacraments celebrated in this liturgical celebration: Confession/Penance. Penance is only mentioned within the circumstance of someone not able to make it to Confession. It also would have been a wonderful opportunity to explain the importance of the sequence of the rites within the context of the Sacraments of Initiation. Penance/Confession restores us to Baptismal Grace. The “last rites” of Confession, Anointing of the Sick, and Communion mirror the Sacraments of Initiation in their proper order of Baptism, Confirmation (uses an anointing with oil too), and Communion. As you can see, it is not a major issue, but my love for sacramental theology would have loved to have seen it included! 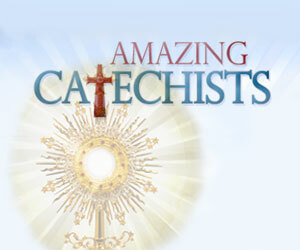 While this book obviously is a benefit to those suffering through something, it is an excellent resource for catechists. Students often ask questions of a personal nature in response to catechetical content. They hunger to understand if the faith has any relevance for their daily life. 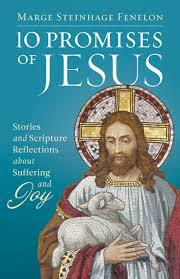 This book will provide catechists with examples of the Christian Faith in action during times of suffering. I have previously written about the importance of restoring the use of recitation within Religious Education Programs, referred to in the catechetical tradition as “Catechism.” With the near disappearance of this essential tool within the contemporary educational systems, both public and private, and current catechetical programs, most of us have not experienced a mentor utilizing the tool of recitation in a skillful manner. For most of us, it sounds like a relic of the past that stirs up a wide array of reactions. It is my hope to offer a few words on how to use recitation well. Recitation begins with the Amazing Catechist. The catechist must know the content of recitation. If the children are asked to memorize their recitation, they need to see that it is possible by seeing the mastery commanded by their guide and mentor in the catechetical enterprise. The catechist also needs to prioritize the use of recitation so that the children will be given a chance of making it a priority for themselves. Lastly, the catechist must properly plan for the classroom and designate the appropriate amount of time for recitation. Recitation must become a habit that children come to expect in each class. Recitation is not like a craft, trivia game, or showing a video. These things can be used during some classes but are not typically found in all classes for the given year. Recitation is needed for every class. The habit of recitation creates a sense of universality, a sense that regular use of recitation is normative, and its absence is unnatural to their experience. Catechetical recitation should have a degree of formal solemnity, or ceremony, within its place in a class. The way the catechist calls students to the beginning of recitation, standing, beginning, the rhythm, handling problems, and concluding should have a feel of joyous ceremony. This will create a healthy environment for enriching their ability to memorize and recite. Each catechist needs to find their own way for introducing the new content. I find that it is helpful to simply have it written on the board when the class arrives. Repeat it several times together. Then begin erasing a word or two while continuing to recite it together. For example, the board may look like the above points and then slowly erase the word “God”, then “made the”, and then finally “world.” Doing the recitation in rapid succession will motivate them to retain the original phrase within their minds while observing the remaining words to be found. I know other catechists that simply put it on the board and do not erase it. Others give it to their children on a sheet of paper. The more a catechist perfects their artform of teaching and guiding recitation, the easier it will become for the catechist and students. This will allow recitation to move smoothly within a class, allow more time for the subsequent catechetical lesson that often follows, and allow the potential of “catechism”/recitation to be actualized within our classrooms and programs. We have all been there. We, the Catechist, ask a question in the classroom. Several eager students raise their hands in a manner that sounds like a miniature version of the clamoring shoppers on Black Friday. These students want to be called upon and share their insight. Stopping the eagerness may, or at least we think it might, discourage them from volunteering their answer in the future. 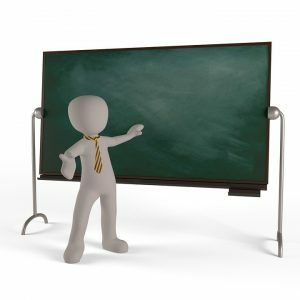 The Question and Answer approach in the classroom is a favorite of many, wherein the Catechist lectures or writes something upon the board and asks a question to get the classroom to engage in the lesson. This approach can truly become chaotic in the classroom. I have sat in the classroom of many catechists that I mentored, and some have offered me this question: “Did you notice how they got really noisy whenever I asked them a question?” This is a chronic problem for classrooms full of small children. It is only natural for a child who loves truth to desire to share the answer to the Catechist’s question. These simple ideas, especially the first, will maintain order in the classroom and allow Catechists to continue to invite students to offer answers during the catechetical lesson. It has been my experience that the two most common pitfalls for Catechists, for myself and others, are prayer and planning. I will only speak briefly on prayer since this article is about planning. We get busy. We all get busy. There is a temptation to sacrifice times of prayer in preparation for a catechetical class. Instead of our ministry as a Catechist being the fruit of prayer, we can sometimes rush in and catechize from a place of our own energy. This temptation is even more common among volunteer catechists. Our catechetical ministry must always have enough foresight to prioritize times of prayer for our students, their parents, their godparents, our parish, and the particular class in the coming day or week. We also have the temptation to not spend sufficient time planning for future classes. We may be able to say, “I am teaching First Confession and First Communion class. This year is about Confession and the Eucharist. First semester is on Confession and second semester is on Holy Communion. I have my textbook. And I know what subject I want to cover next week.” This is all well and good but is lacking the preparedness that makes for an Amazing Catechist. If we move from subject to subject or week to week, we have no real means of monitoring growth and catechetical learning. There is no synthesis throughout the overall year. The common objection that may arise is: “I can tell you want to encourage lesson plans. But lesson plans get in the way of the Holy Spirit. If I plan too much I will not be going where the Holy Spirit wants me to go.” First, I would say that keeping prayer as the context for our motivation and planning for the classroom will keep the Holy Spirit involved in the process. Second, just as the Spiritual Masters teach us regarding prayer, planning and methods are good but we can make alterations if the prompting of the Holy Spirit arises (in accord with proper discernment). I would not dare to compel you to create lengthy lesson plans like those used in schools. All I invite you to do is to answer four questions with each unit. A unit may span the time of a month or two. What is the theme of this unit? By the end of this unit, what should my students know? By the end of this unit, what should my students love? By the end of this unit, what should my students be able to do? Perhaps it may be helpful to provide some examples of answers for the four key questions for lesson plans. They should know the biblical foundations for Confession, the role sin and reconiliation play in our relationship with God and others, what happens when we go to Confession, and the form and words of Confession. They should love forgiving others, love receiving forgiveness, and love the opportunity to encounter the Good Shepherd in the confessional. They should be able to summarize the Sacrament of Confession to others, be able to make an examination of conscience, and tell me what they need to say/do when in Confession. They should know the Old Testament and New Testament uses of oil/anointing and the laying on of hands as they pertain to Confirmation. They should develop a love for the Holy Spirit. They should be able to pray to the Holy Spirit, articulate to their peers the meaning of the sacramental signs of Confirmation in relation to Scripture, and be able to recognize the work of the Holy Spirit in their life. As you can see, this 4 Question approach prevents that catechetical classroom from being solely intellectual. Worksheets, crafts, and presentations will not accomplish all the goals for the unit. The traditional assessments of a quiz or test or worksheet will only accomplish assessing one category of goals: What they should know. The other categories require the use of discussions, reflections, meditation, mentoring, presentations, and guided prayer. This is the recipe for an Amazing Class, made possible by an Amazing God, and made possible because of the prayerful preparedness of an Amazing Catechist. The Catechist: Why did God make you? I seek to suggest that it would be in our best interest as Amazing Catechists, either at home or in a classroom, to carry out the restoration project of bringing back the Catholic recitation. I am not suggesting that this be done as the sole means of educating youth but that the use of recitation should once again become part of our catechetical process. The question and answers of recitation can easily be integrated into the opening of class or the closing of class. The reason for its restoration is that it works. The traditional characteristic of the younger grades, what we call Grammar School or Elementary School, was the emphasis on memory work. The emphasis on memory work was aimed at cultivating a child’s memory capacity and at the same time teaching them something. Small children can do it, and the last couple thousand years have demonstrated that it fits well with the developmental stages of small children. They like to repeat and imitate. They are a sponge and can handle unusual amounts of information if it begins simple and grows in complexity. Recitation for a small child is like exercise. The more a person exercises, the easier it becomes and the more complicated routines can then be adopted. What are the two parts of Scripture? What are the Old Testament types of Baptism? What does John 3:5 say about Baptism? What does Romans 6 say about Baptism? How does Confirmation complete Baptism? How does Confirmation help with the reception of Holy Communion? What is the Manna in Exodus 16? 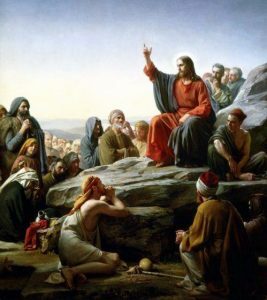 How does the Lord’s Prayer connect with Manna? What does Jesus say about the Eucharist in John 6? Recitation teaches children to organize a body of knowledge in a systematic way. 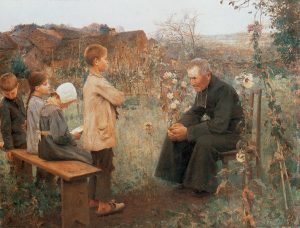 Recitation demonstrates to a child how the new lesson of a given class fits within the greater body of knowledge of the Catholic Faith. Recitation teaches children new and proper vocabulary to help them formulate the concepts they will learn in class. Recitation provides students the opportunity to grow in confidence for speaking in front of others. Recitation provides all students in a classroom the same base knowledge to build from in the catechetical lesson. Recitation motivates the child to develop their memory capacity and their speed and ability for recall. Recitation provides a body of knowledge that will be ingrained in their long-term memory for the years and possibly decades to come. Recitation encourages teamwork when done in a classroom setting since the class answers together. Recitation develops a sense of confidence through the year’s mastery of recitation. Besides being a time-tested approach to learning for smaller children, especially within a Catholic environment, recitation also provides many helps for the Catechists. Classroom recitation provides the most immediate assessment of a student’s or students’ abilities and their current status in the process of formation. Unlike True and False questions or multiple-choice questions, recitation does not allow for guessing. You either know it or you do not. A catechist does not need to wait until the end of the unit quiz to know if a student grasps the content. They will know immediately. The process of conducting recitation will be discussed in my next article. The importance of recitation, and the fact that it should not monopolize the classroom experience, is best expressed by turning to L.M. Montgomery’s classic Anne of Green Gables. The orphan, Anne, has arrived at her new home at Green Gables. Marilla asks Anne if she knows who God is. Anne responds, “God is a spirit, infinite, eternal and unchangeable, in His being, wisdom, power, holiness, justice, goodness, and truth.” The narrator explains that Anne’s answer was prompt. Anne then explains that she learned it at Sunday school before being adopted. “They made us learn the whole catechism,” likely referring to a sort of recitation, “There’s something splendid about some of the words.” The role of this catechism recitation had a big impact on her vocabulary, her memory, her recall, and her worldview. However, Anne does not yet know how to be a person who prays to God and follows God. For this reason, Marilla immediately seeks Anne’s religious instruction. Just as in the example of Anne of Green Gables, catechism recitation can have many benefits but must be accompanied by something more within the classroom. The catechetical recitation and catechetical lesson work together to create something grand: a child formed in the way of Jesus Christ. Anyone would be hard pressed, once they know the different approaches to conducting recitation, to find a good reason to not restore catechetical recitation to its proper place. Whether it’s a weekly catechetical class or catechesis delivered within a daily Catholic education environment, it can be a challenge to know what new students know and what they don’t. Knowing their status is crucial before covering new material. The common approach for older kids is to offer a beginning of the year quiz, trivia game, or oral questioning. What can be done to assess, whether it is the beginning of the year or the end of the year, small children? The answer: Sacred Art and Word Association. In an ideal world, baptized students would enroll in our classes and have a firm catechetical foundation from home as the Church calls parents to be the “first” teachers of the faith and the “best” teachers of the faith (see the Rite of Infant Baptism). Yet, this is not always the case. We cannot take for granted that the kids entering our classroom have a firm grasp of the major figures and events within the grand story of our salvation. 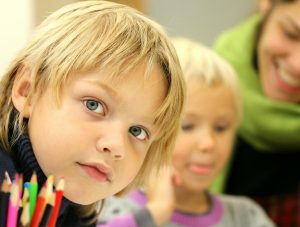 Small children are often shy and quiet when they feel they are being assessed. A direct line of questioning may damage the bridge building that the opening class sessions are meant to finalize. Yet, Sacred Art provides an easy path to building the bridge of trust with small children and assessing their current knowledge of the figures and events of Salvation History and the Sacraments. Displaying a Holy Icon or a reprint of a painting can provide small children, or individuals of any age, a sense of awe and wonder as they take their seats. Allow them the opportunity to enjoy the Sacred Art. Allow them to get close. Encourage silence during this process. Then ask the students questions about the image. Let us use two examples. 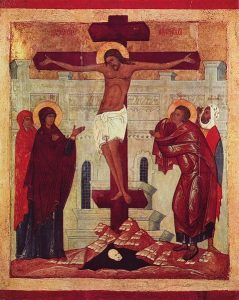 The Crucifixion Icon of Meister der Schule von Nowgorod (Wikimedia commons). If a child struggles with this, you can choose to ask them to point at Jesus, find the golden halos, find the Cross, etc. This is not as effective since the child can guess and get it right. The seven questions above are more like a child version of short answers, while the “point and find” method is more like a multiple-choice question. This next example comes from Adoration of the Child by Sebastiano di Bartolo Mainardi (Wikimedia commons). Why are they with animals? (There was no room for them in the Inn). This may seem like simple stuff, but most of us catechists have had the heartache of having a kid that knew nearly nothing about the faith and we found out too late in the year. 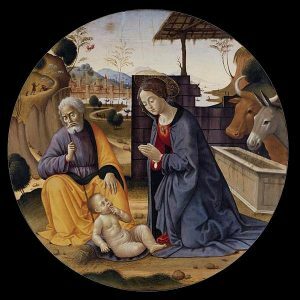 This Sacred Art assessment is simple, fun, and nearly exact in its ability to assess their basic knowledge of the faith. Feel free to use other images or use more. You can then choose new images at the end of the year and see if they can improve their ability to recognize the individuals and events depicted in the Sacred Art. To make sure the class is not merely an assessment, have the kid’s work on a corresponding coloring picture while they wait for their turn to sit with the Amazing Catechist. If the image you are assessing them with is on the Crucifixion, have them color a crucifixion page. After the children have been assessed, discuss the image as a class. Then end the class by inviting students to draw and color on a blank page while trying to imitate/copy the image used for the assessment by matching colors and figures the best they can given their age. This too will allow you a better window into the abilities that fall under the category of developmental skills. It is important to teach kids how to pray the Rosary, the Angelus, and other common Catholic Prayers. These should be taught in the home, but sometimes the Catechist is called to help. One of the most terrifying things you can do in the classroom is to ask a child to lead prayer. Yet, we can easily teach our children how to lead prayer in the classroom. These steps can be used with kids as young as five. The catechist needs to be a person of deep prayer and be the example of prayer for the class. The opening prayer for each class should always be done by the Catechist. This sets the tone. Even if you want to practice a specific prayer with them, you can still offer a spontaneous prayer and conclude with your memorized prayer. In the beginning, it is important to lead prayers that are easy for a child to recognize a pattern and imitate. For example: O God, thank you for this day and help our class to know you better. We ask this through Jesus. Amen. Do not wait for a magical moment to begin having the kids pray. Have one or all of your kids offer a closing prayer at the end of class. Encourage them to close their eyes, fold their hands in prayer, and imitate the opening prayer. Kids should learn to incorporate the class in their closing prayer. I call this “Responsory Prayer” for my students. We pick something from the class or Mass that we could hear or see God at work in and incorporate this into our individual prayer. I ask all my students to say a Responsory Prayer at the end of class. I go first and set the example. Here is an example of prayers my students recently made when learning about the Immaculate Mary hymn as we created Psalters for each kid. Dear God, thank you for this day, help me to have self-control, and help me to have virtue like Mary. Amen. Dear God, thank you for this day and help me to love Mary. These prayers were offered by small children. You can see how they are similar, simple, and incorporate something from the class that day. Give THANKS for something in someone else’s life. PETITION (ask) God for something for someone else. PRAISE God for the work of creation or redemption or some manifestation of God’s work in your life. Spontaneous prayer forces a student to unite their mind and voice. Hopefully we can also mentor them in the use of their heart. There is no hiding in spontaneous prayer, and there is no mindless routine. When memorized prayers and devotions are introduced in class, the students will now have a firmer foundation for praying the prayer and not simply the saying of the prayer.